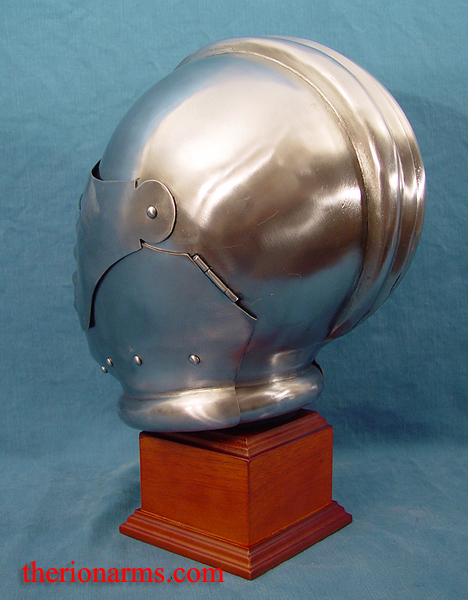 A beautiful Maximilian style armet helmet. 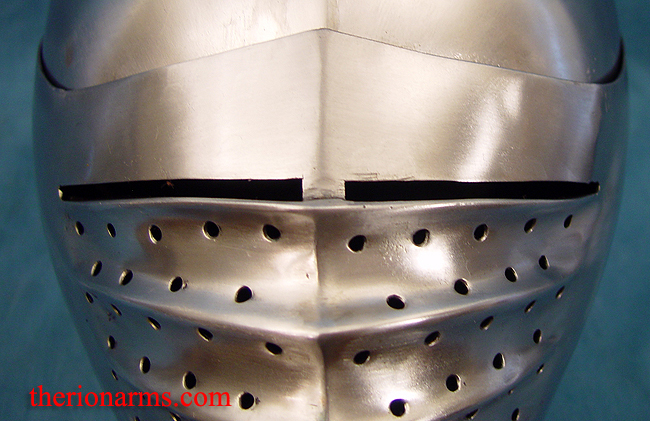 This style of armet remained in vogue until the mid-16th century. 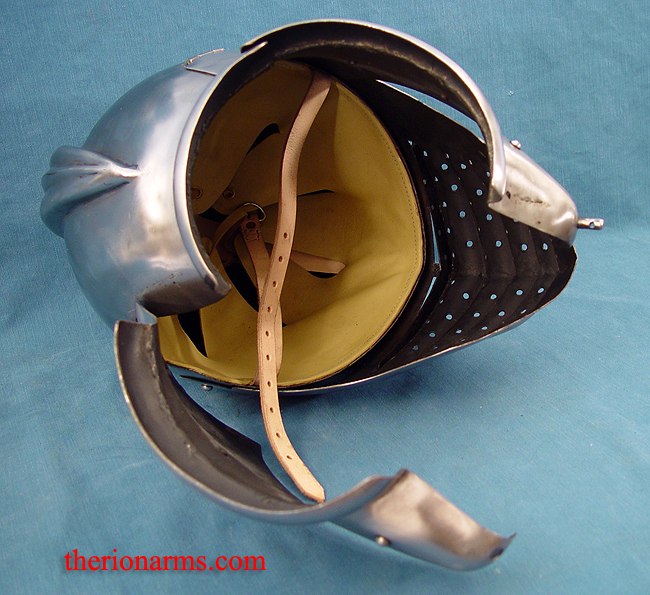 The bellows face visor hinges up and the side plates hinge out for access. 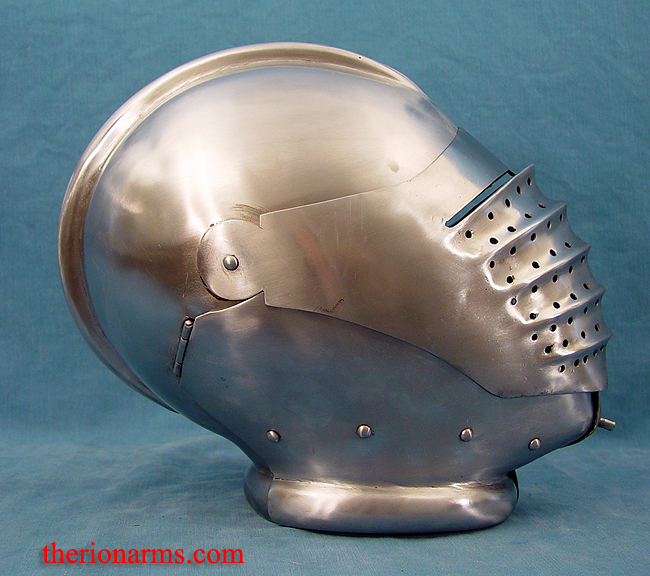 Crafted in 16 gauge steel, lined and ready for use. 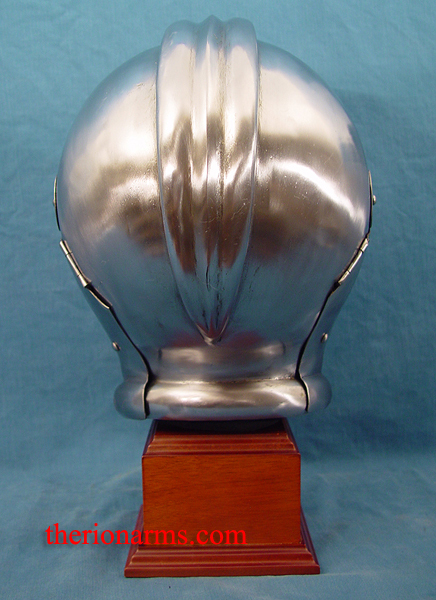 Size is about 25" inner circumference. 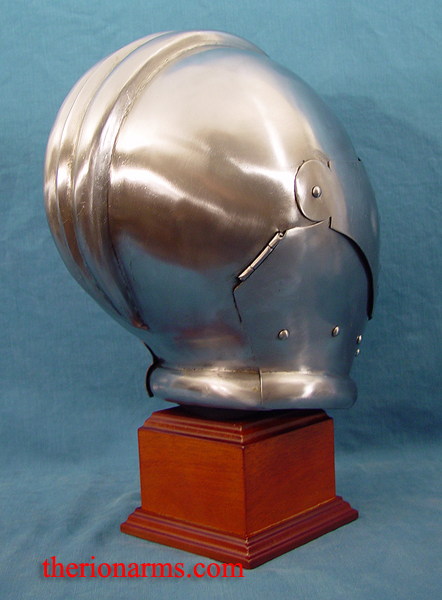 Weight is 6 lbs 11.5 oz. 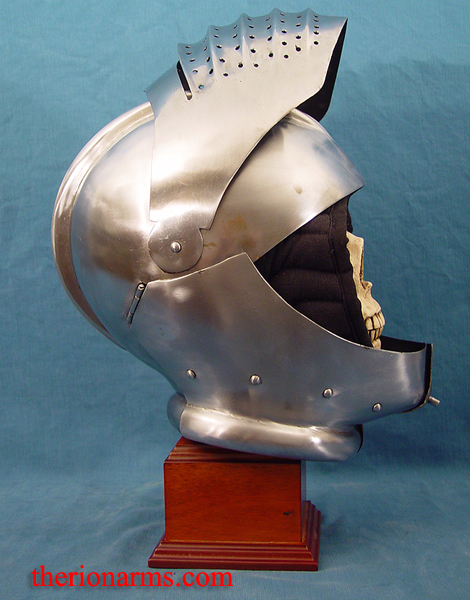 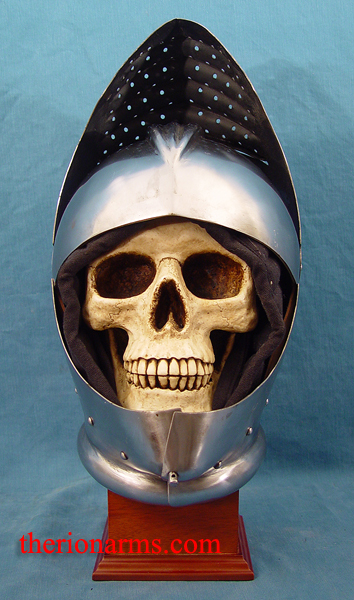 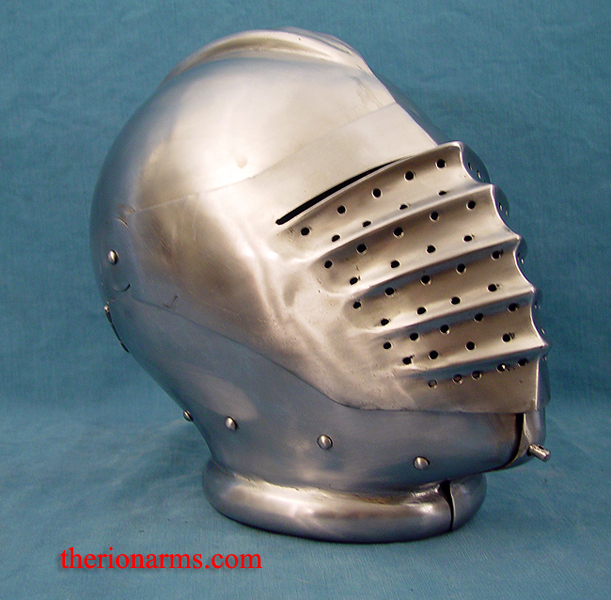 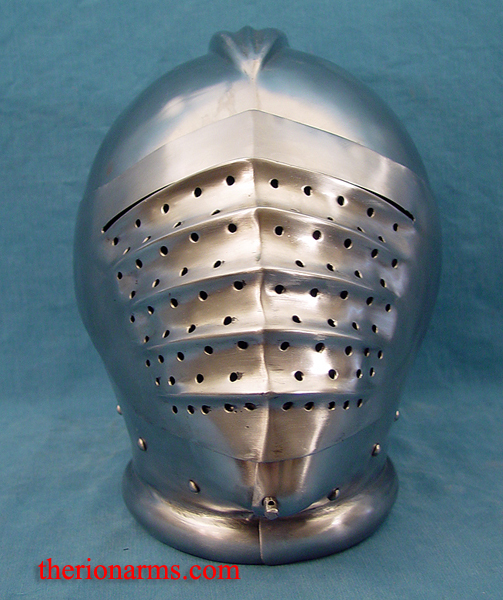 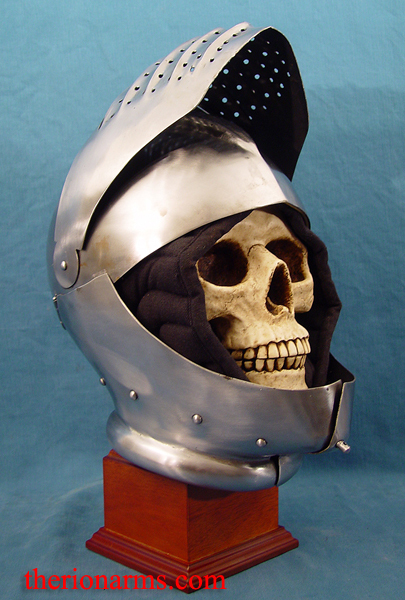 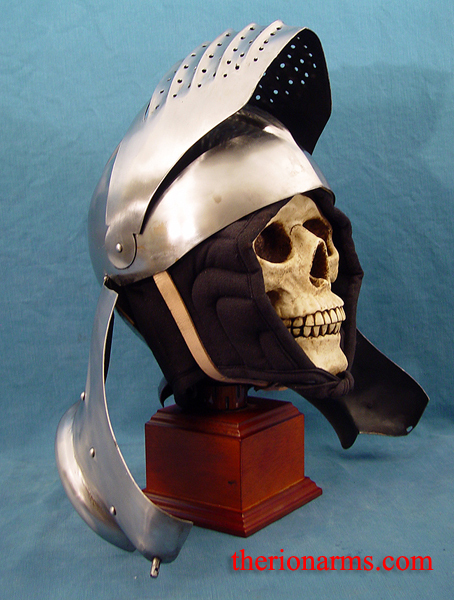 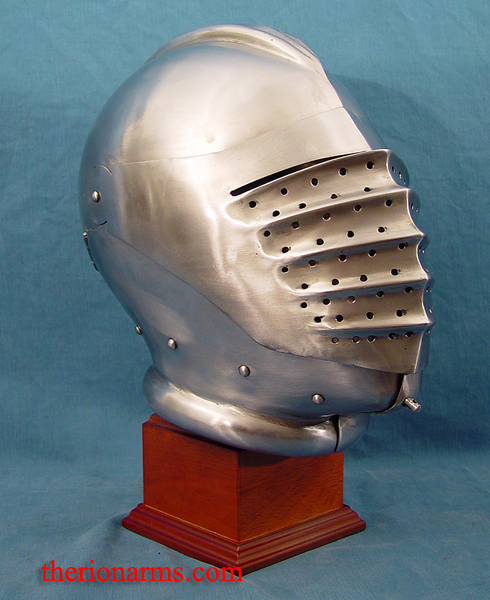 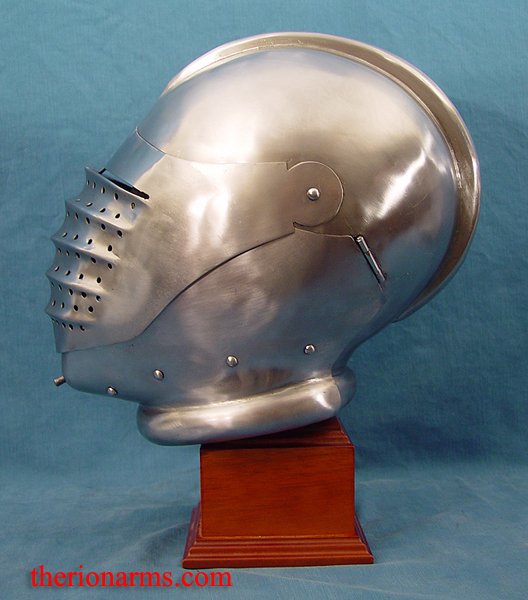 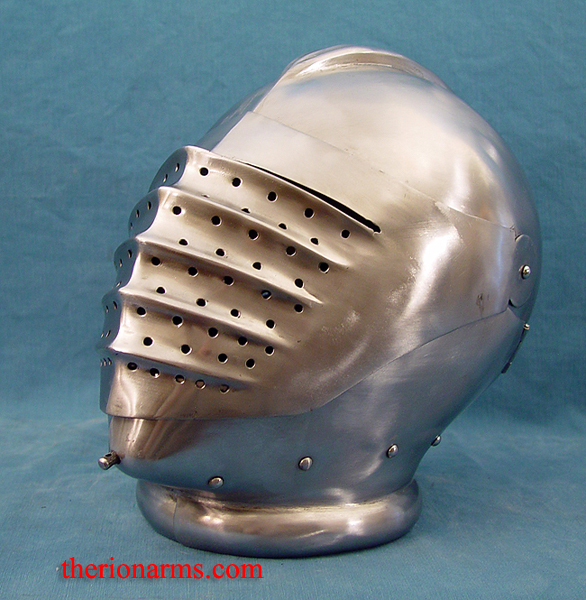 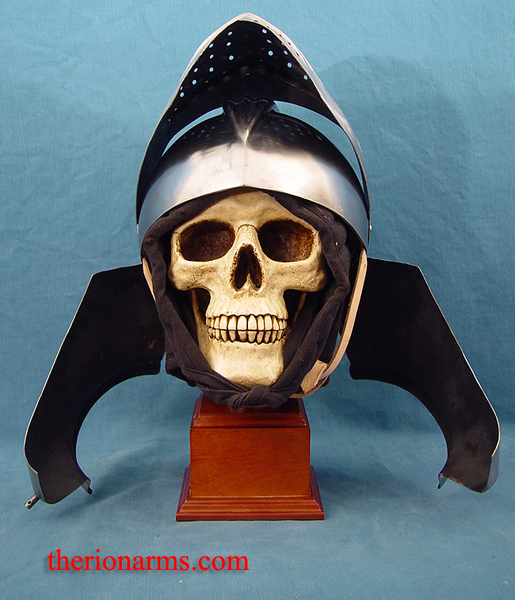 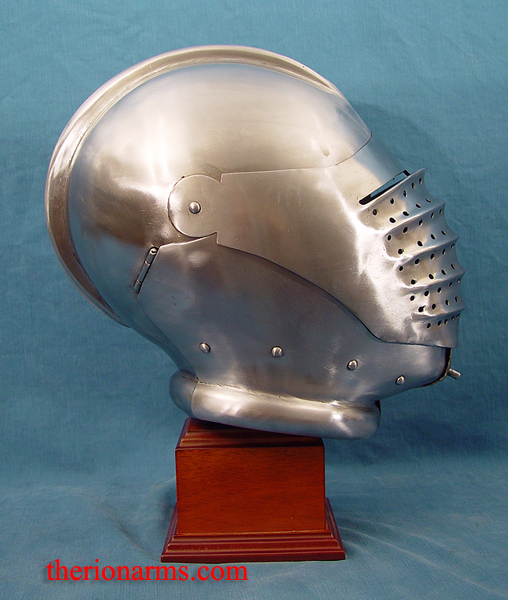 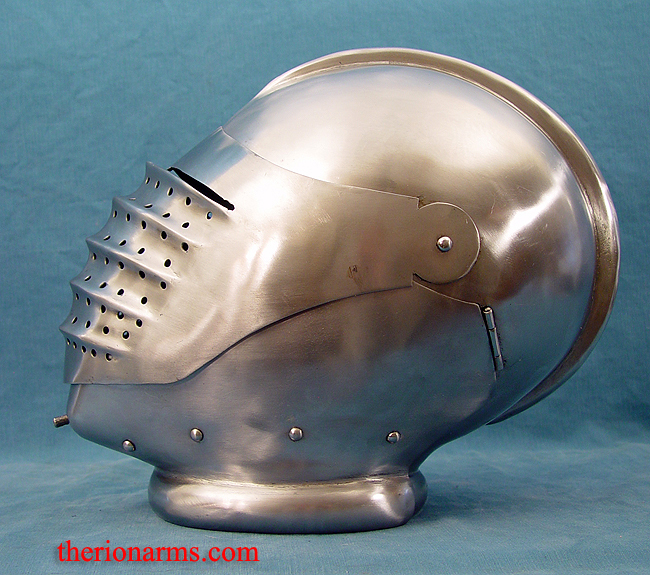 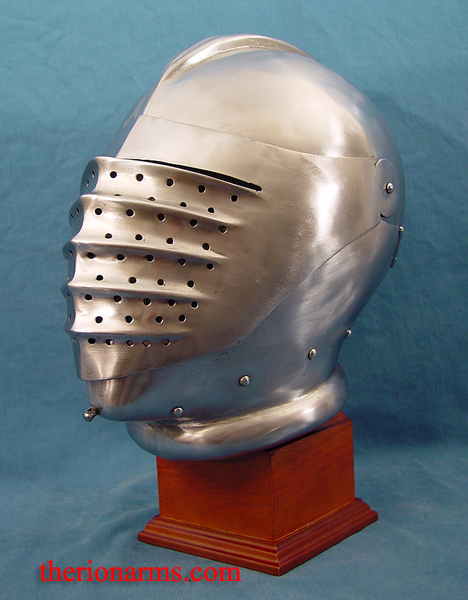 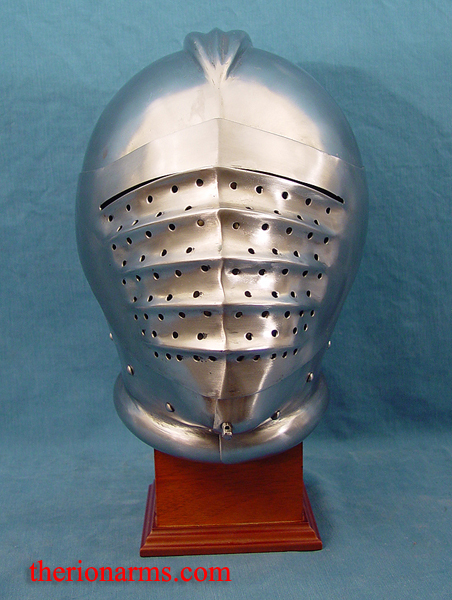 Yes, you are correct - this is/would make an awesome SCA rapier or cut'and'thrust helmet.